If you have read previous blog post about backing up, this is sort of a prequel for the part 2 of that post. I have been searching for a good “long-term” network storage device. What I need is something reliable, versatile, with a good CPU power and expandable. Then I came across this, the Synology Diskstation. I was thinking of getting the 5 bay storage at first but then, the price difference with the 8 bay is not far off, besides I need it to be future proof, having more bays means I can always expand it later when I need more storage. After a lot of Youtube and forums research, I decided on the Synology DS1815+, it is an 8-bay Network Attached Storage. 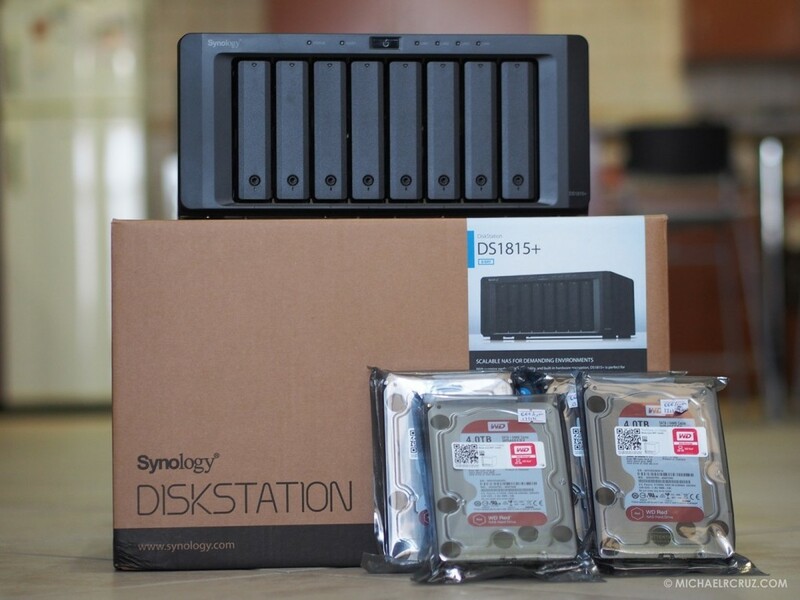 Synology is a known brand when it comes to storage devices and after using this product, I learned why……..